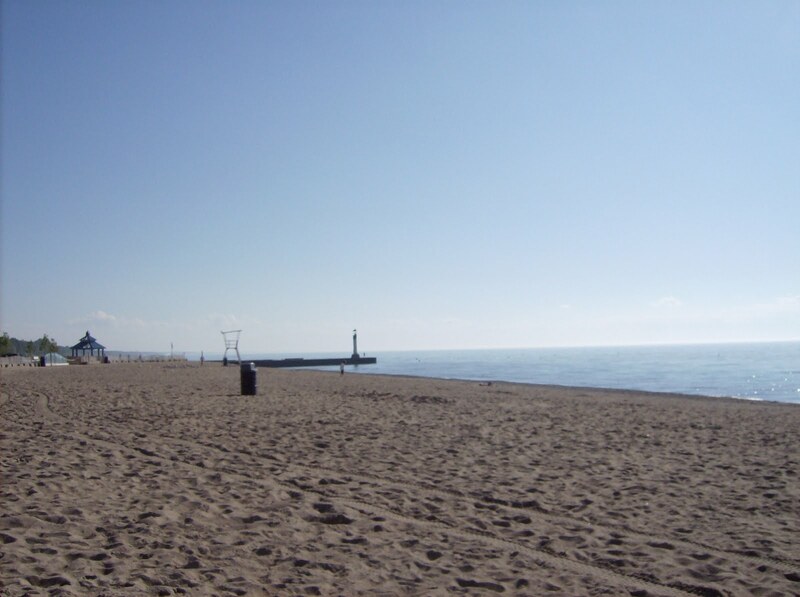 I was at Grand Bend,Ontario last week. 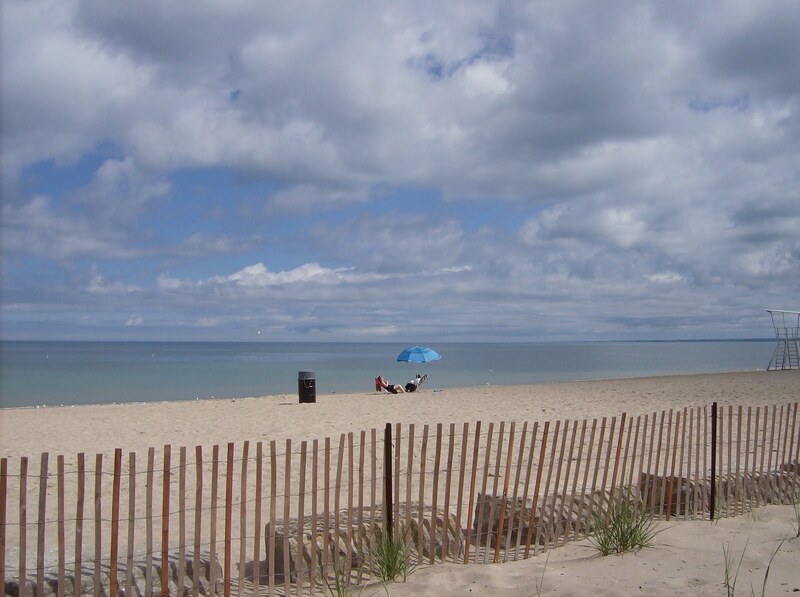 It is a beautiful beach on the southern tip of Lake Huron, one of the Great Lakes. A friend owns this darling cottage 5 minutes away from the beach. My quilting friends(The Mellow Yellows) decided to have a quilting retreat here. Carol, Karen, Heather and myself. 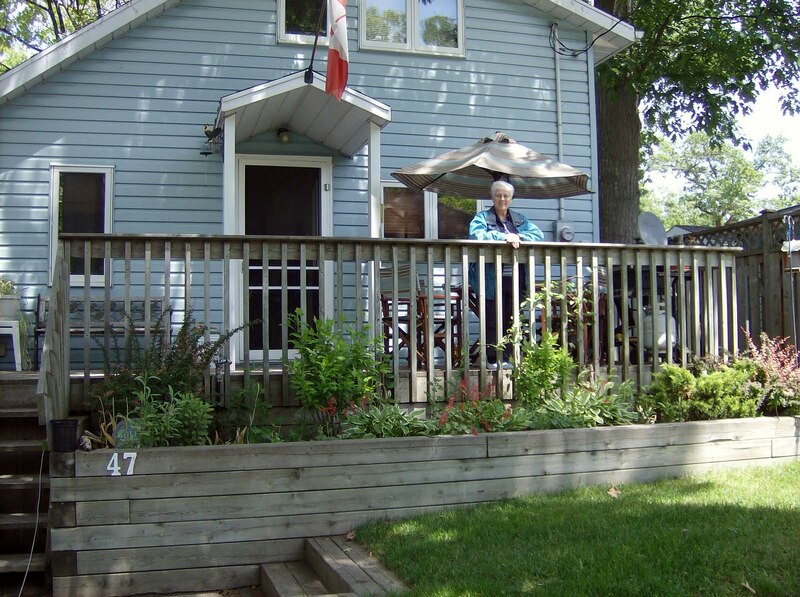 Heather has been ill so she could only come for lunch one day.Carol, standing on the deck has a knee problem so she stayed close to home while Karen and I did some exploring. We wanted to pay rent but they said no thanks, just enjoy. Gosh what a treat and we wanted to do something for them so we made them a quilt!!!! OF COURSE WE DID!! We are quilters .... It is a rag quilt and very easy. We made the blocks before we went and assembled it as our first quilting project when we got there. Looks great and the gift was a real surprise and was accepted with great appreciation. Karen brought her dog Nicky. 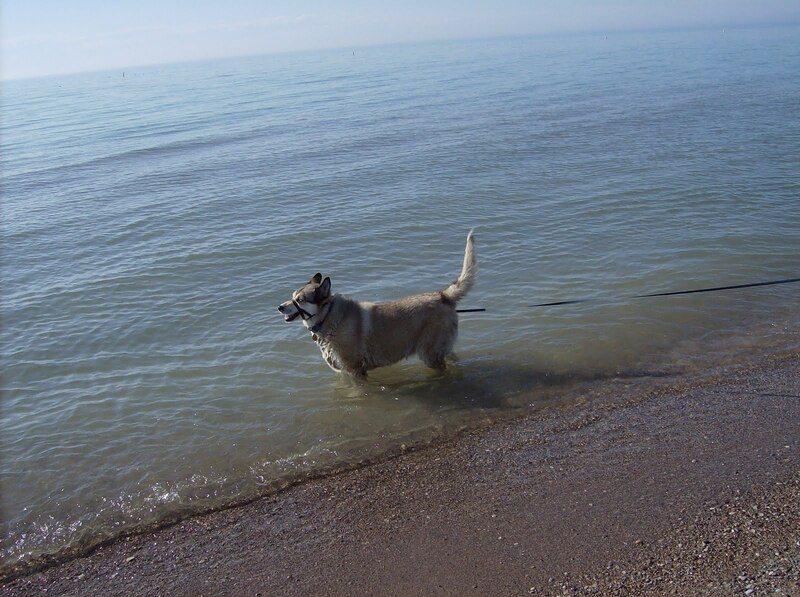 She loved the walks we took her each day and the water was fun for her too. 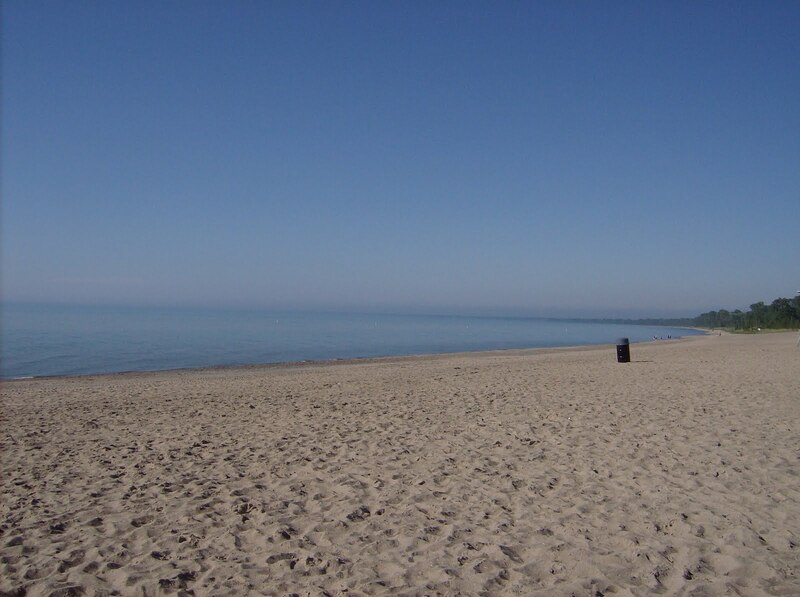 These pictures were taken mid week and it is so peaceful with few people on the beach. It is a different story on the week ends where you can hardly find a spot on the beach to sit! I think the mermaids here were all very happy and content as I didn't find any mermaid's tears..sigh..... oh well, maybe another time. It was really a fun time with good friends. What a great time you must have had and what a wonderful thoughtful gift from the heart. I'm sure they will offer their hospitality again. Perfect: quilting, friends and the beach! Great quilt too. Bet they LOVED it! 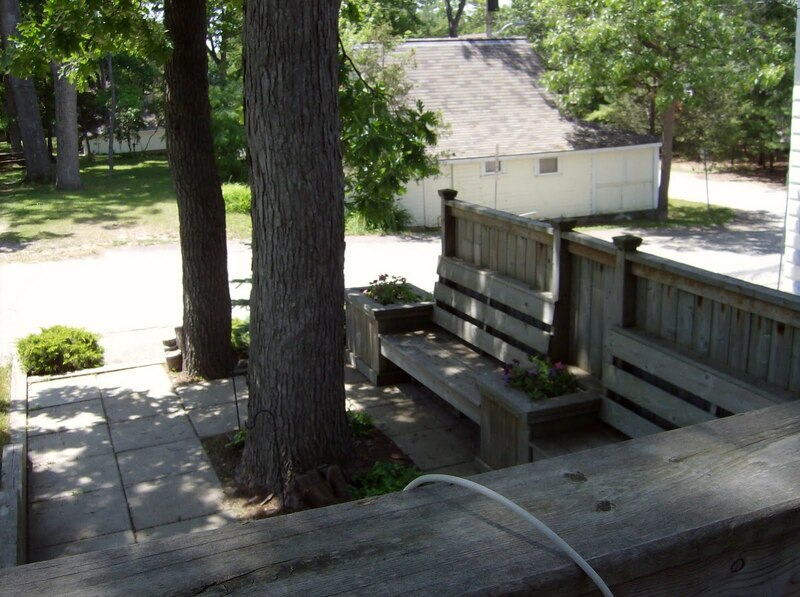 What a lovely place to to spend time and good friends too. What more could you ask. The quilt is beautiful, and such a thoughtful gift. Glad you had a good time at your little getaway. What a delightful vacation. That cottage is adorable and what a view! What a treasure to make for the cottage! They will love that quilt! It's the perfect "rent"! I ♥ it and I don't see how they cannot! Everyone needs to get away once in awhile. This place looks like the perfect retreat. 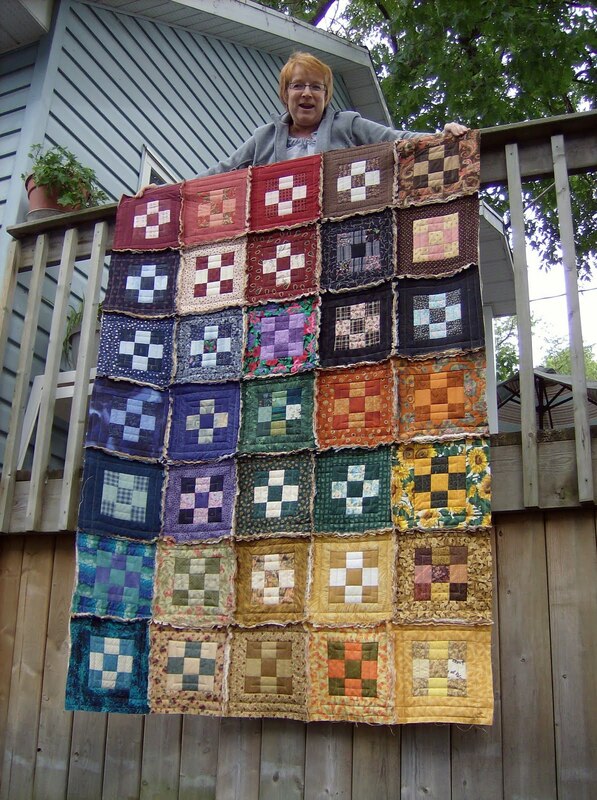 Your quilt turned out fabulous and I'm sure the cottage owners were thrilled. What a great vacation place! I can see how relaxing it would be! 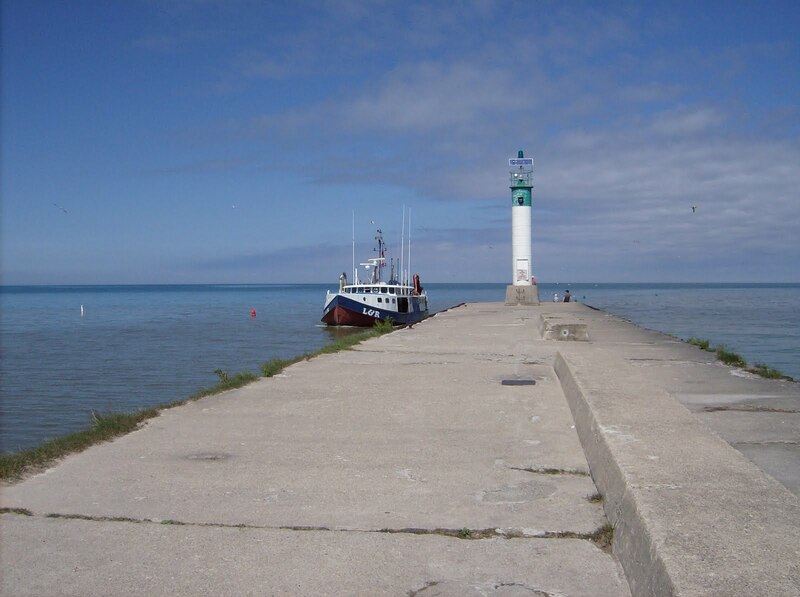 I remember visiting Grand Bend once many years ago. The pictures bring it back to mind. We know a few people from Toronto who have retired there. What fun to be able to get together with a few friends and just enjoy. What a peaceful break! The quilt was so thoughtful! 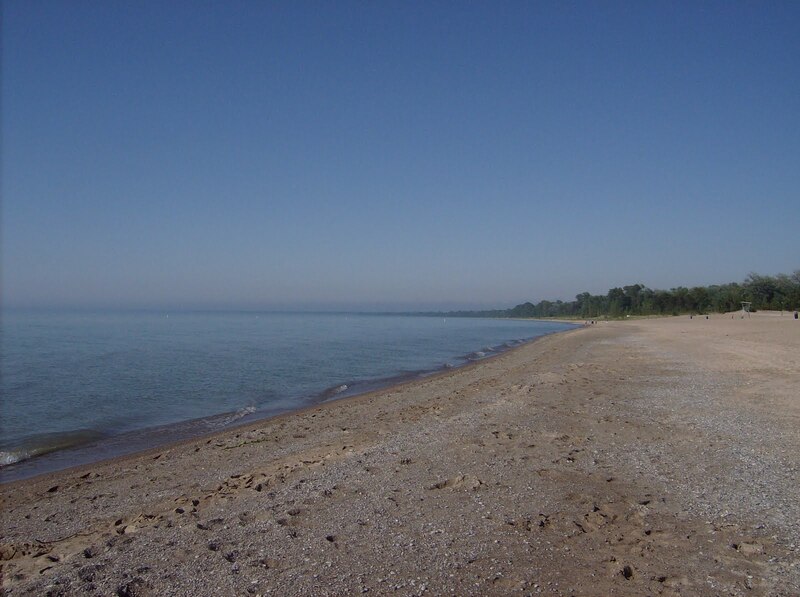 I live a mile from Lake Huron, just North of Port Huron MI. It's so pretty, I never tire of the water. That quilt is GORGEOUS!!! What a beautiful trip, too! What a great location for a retreat!